“In investing we may have a sense for what’s going to happen, but we never know when. Thus, the best we can do is turn cautious when the situation becomes precarious. We never know for sure when – or even whether – ‘precarious’ is going to turn into ‘collapse’”. Howard Marks, Oaktree Capital, September 2018. As we entered 2018 the economic backdrop appeared overwhelmingly positive. Economies across the globe were expanding, the US unemployment rate was approaching record lows and inflation remained contained. In addition, President Trump had delivered a significant stimulus to the US economy in the form of a corporate tax cut, passed in late 2017. For James Hambro & Partners, however, we saw a more precarious situation – high bond and equity valuations, the potential for economic momentum to slow from elevated levels, and the lack of another one-off stimulus creating a tough comparative for 2019. After a protracted period of extremely low volatility, the opening quarter of 2018 witnessed the first significant market fall since the commodity driven declines of late 2015 to early 2016, falling 8.9% from the peak in January to the trough in March. Subsequently, global equities rallied 11.8% to reach new highs towards the end of September only to fall 13% in the fourth quarter (-6.9% for the year), marking one of the worst quarterly declines since the Great Depression; with a fall of 7.8% in December alone. As Figure 1 shows, few assets or regions were able to escape the reversal of returns in the fourth quarter. China was the worst hit, with the CSI 300 falling 25% in the year, as the authorities targeted excess debt in the shadow banking system and US trade tariffs contributed to a fall in consumer confidence. At any point in the past 10 years one could have compiled a list of anxieties that make for an uncertain investment landscape and today is no different – Trump’s trade wars, slowing economic growth, the continued rise of populism in Europe, and of course Brexit to name a few. However, while in previous years markets have managed to grind higher, there was a key difference in 2018. Firstly, the US Federal Reserve continued their path of interest rate normalisation, raising rates four times during the year on top of the 3 increases completed in 2017. But perhaps, more importantly, February 2018, was the point at which the 10-year experiment in quantitative easing went into reverse, see Figure 2, as the Fed started the process of shrinking the balance sheet. Since 2008, central banks, led by the US, have injected liquidity into the financial system by buying assets in the open market, pushing prices up and forcing yields down. From April 2018, taking account of all central bank activity across the globe, the world entered, for the first time, a period of quantitative tightening. The years of central bank stimulus and extremely low interest rates have gradually built up areas of excess as investors have searched for yield and return. In the 2000s excess was found in the housing market and mortgage backed securities, today public and private debt are cause for concern. Corporations have taken debt to levels not seen since 2007, while the amount of leveraged loans and high yield debt is now double the amount outstanding in 2007. With slowing growth and high levels of debt, rising interest rates and falling liquidity are key to understanding why volatility has picked up so markedly in recent months. After many years of asset price reflation and strong returns, we continue to view the global economic setting as precariously balanced. Throughout the year we have proceeded with caution, taking risk out of portfolios and building up cash levels. We have gradually weeded out the companies that carry higher risk for this point in the cycle – in particular, companies that have used debt and acquisitions to grow – and looked to hold larger more liquid companies with low debt, high cash flow generation and sustainable dividends. We have rarely had a significant position in corporate debt but today we have no exposure at all. 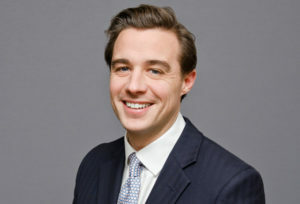 While portfolios have not been immune to market movements, these actions have helped to mitigate drawdowns, and while equity valuations have come back to more attractive levels and are no longer ‘priced for perfection’ we do not yet see a significant opportunity to raise the tactical weight in our preferred long-term asset class. What will kill this bull market? Northern Rock 10 years on – are our banks any stronger?